The latest addition to the Oprah Winfrey Network, “2 Fat 2 Fly” centers around two friends who run a Southern food truck. The call themselves the “Thomas Edison of chicken stuffed wings.” Corey and Ramone are best friends and business partners of the small-town food truck business, “2 Fat 2 Fly,” a Columbia, South Carolina food truck with an interesting specialty — chicken wings stuffed with crazy ingredients like jambalaya and mac & cheese. 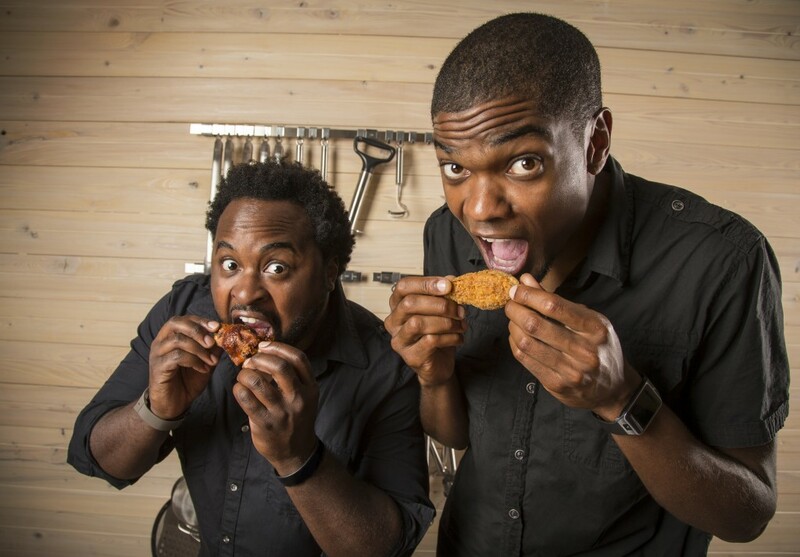 The duo who felt they were going to be millionaires overnight with their new chicken concept have been at it for three years but are determined to make their dream come true with a chain of eateries. The series shows them struggling with turning that demand into a profitable business instead of just another meals on wheels culinary trend. Produced by Paperny Entertainment, the executive producers are David Paperny, Cal Shumiatcher, Audrey Mehler, Lynne Kirby and Russ Heldt. Tune in for all-new episodes of “2 Fat 2 Fly” beginning on Saturday, February 28th at 10/9c on OWN.